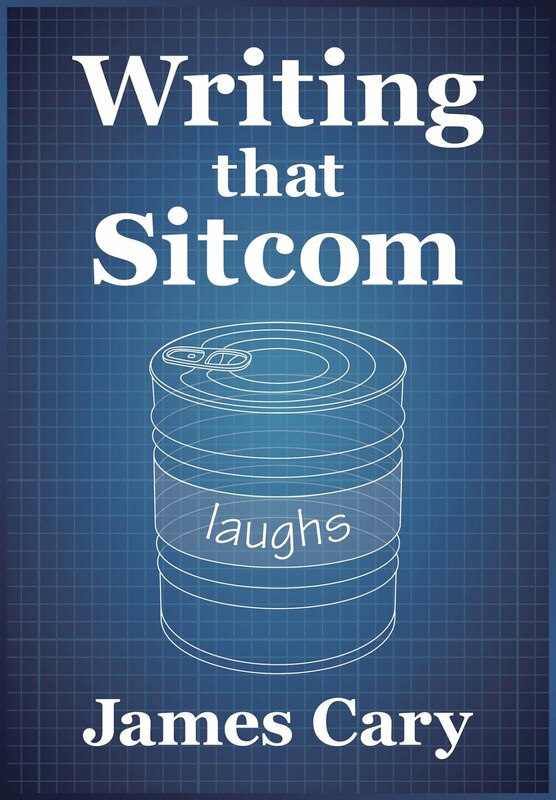 About a year ago, I released a book based on this blog called Writing That Sitcom. Up until today it has only been available for the Kindle, or the Kindle App for the iPad via Amazon. And it still is. Go and look. Herehttp://amzn.to/2iVwIVX. Go on. It's here. HERE! Maybe you don't use Kindle, or won't use Amazon, or want to print it out. Or maybe you just really like PDFs. Whatever. 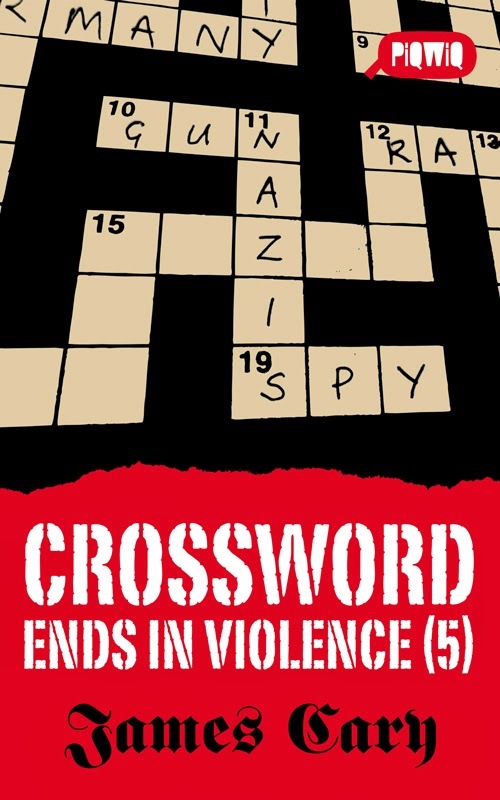 You can now buy the book as PDF to read however you want to read it. That's the beauty of PDFs. 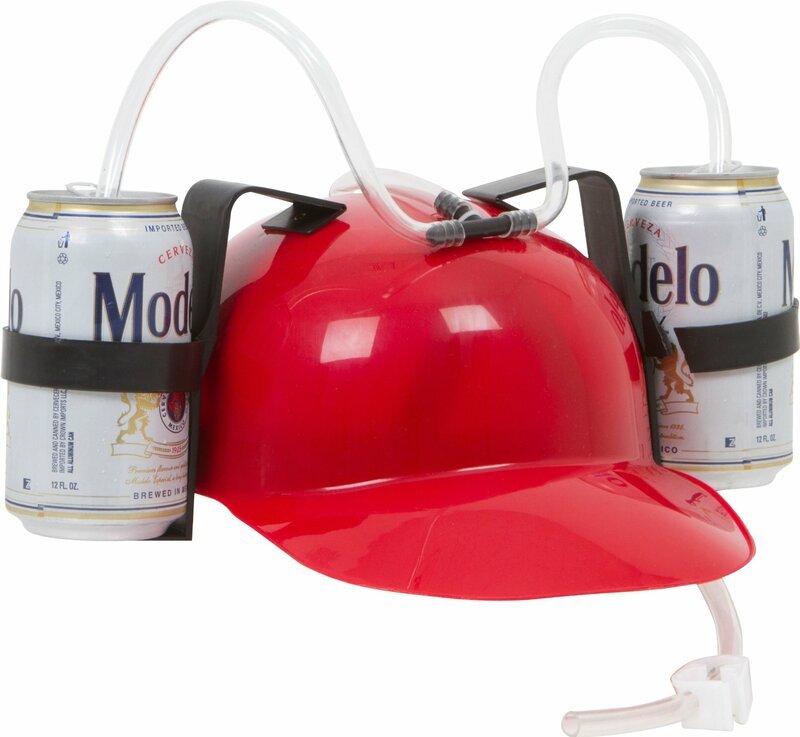 So you can buy that HERE. Writing That Sitcom is part handbook, part pep-talk, part intervention, helping you get your sitcom idea from your head and into the script. Working through developing characters and stories that jump off the page, Writing That Sitcom is a step-by-step guide which includes advice on generating ideas, writing original dialogue and editing your draft so that the script makes maximum impact when it’s pulled of a pile by a jaded but desperate development producer. Crammed with plenty of practical and realistic suggestions, as well as chapters on writing for children and radio, this book is bursting with realistic advice from someone who’s actually been there and done it plenty of times. 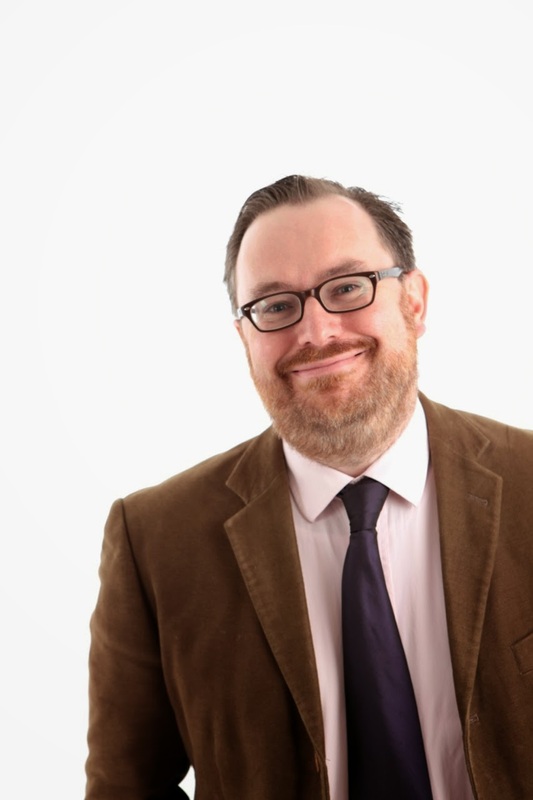 James Cary, writer of the popular Sitcomgeek blog, has co-written episodes of Miranda, Bluestone 42 and Another Case of Milton Jones. He has created sitcoms for BBC Radio 4, including Hut 33 and Think the Unthinkable, and written episodes of existing sitcoms like My Family, My Hero and Citizen Khan. Often random background props make me laugh. Do I try to write these into the scene descriptions, or do I chat to the producer about how funny I think that novelty mug on the desk could be later on? Good question. I’ve written a bit about props before. About the significance of props here and the mechanics of checking the props on set here and here. But these don’t really answer Jo’s question, which contains a couple of phrases that worry me. The first is the reference to the novelty mug. The second is the phrase ‘random background props’. Let’s start with the novelty mug. You probably already know this, Jo, and you're using shorthand but it’s just worth being sure about it. Things that are meant to be funny in real life are not funny in sitcoms. Amusing T-Shirts, “I’m Only Here For the Beer” hats, and novelty mugs are broadly off-limits in sitcoms. It sounds a bit bizarre, but in sitcoms, your characters are not trying to do jokes. They are jokes. They don’t have the self-awareness to be funny in their own right. As a rule, they say things and do things that are unwittingly funny. Sheldon in Big Bang Theory doesn’t think he’s funny. He thinks he’s the smartest guy around – and kind of is. His ego is funny. His pride is funny. His lack of appreciation that’s its not good to brag about how clever you are is funny. That said, if Sheldon tried to prove he had a sense of humour, he might well reach for standard ‘comedy’ tropes. But he would get them wrong, or try to improve them in some way, but in a way that says more about him than anything else. Props should only really be an extension of character. Or part of a story. If your character is wearing a T-Shirt with a slogan, what does it say about them? Or how does it provoke a reaction? If your character takes a mug around the office, in what way does it augment their own unique brand of paranoia or idiocy? Or mean the start of an all mug war? This whole area is related to why I’m normally against characters using standard comedy lines you hear in every day life like ‘I could tell you but I’d have to kill you’, or ‘Did I just say that out loud? There’s much more on that sort of thing here. Some of the props from the old Croft and Lloyd sitcoms like Are You Being Served? and Allo Allo were really comic, and downright silly. The props can sometimes be a joke in their own right – and often become running jokes (eg. flashing knobs) But those were foreground props, to do with mannequins or escaping from the Germans. And they certainly were not random. 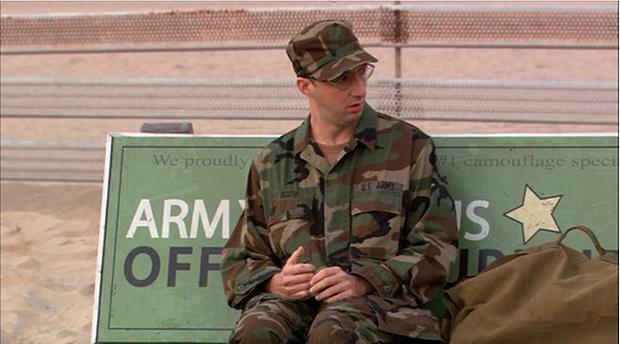 The main problem is this: If something in the background is meant to be funny, it’s distracting from the foreground. So one needs to be very careful here. 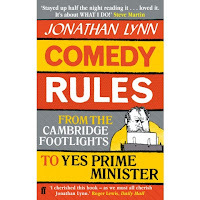 The best book I’ve read about writing comedy is Jonathan Lynn’s book on rules of comedy. It’s part autobiography and part how-to guide. Not only is he the co-writer of my favourite sitcom of all time (Yes, Prime Minister) and the writer/director of one of my favourite movies (Nuns on the Run), he’s also a theatre director. 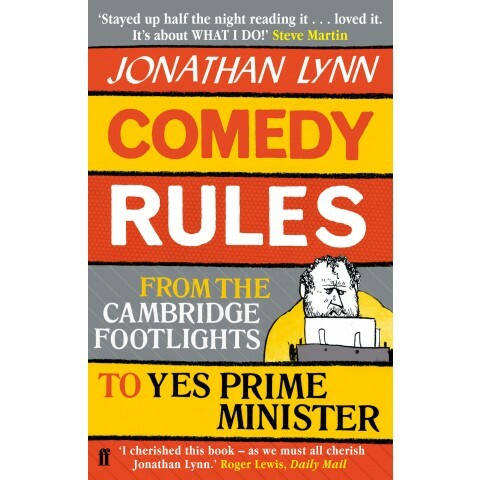 He really shows in his book how comedy is all about stage management, and directing the audience’s attention. Comedy is almost like a magic show where it is critical to ensure the audience sees what it needs to and is not distracted. Unless of course the distraction is very intentional. There’s a really nice example of this in My Family (a show which people regularly forget got several millions viewers every single week – over a hundred times). In Series 4, when Kriss Marshall was still in at as Nick, a puppy dog-type who had a different job every week, there was an episode in which he became an extra. This triggered a hilarious scene in which Nick and his fellow ‘acting extras’ practised their background acting while Ben and Susan, in the foreground, were talking about something or other on the sofa. It was critical they didn’t say anything of any importance or plot significance because the audience weren’t listening to a word they were saying. In your script – and in your sitcom – you need to be sure where your audience is looking and not looking. The only time background jokes can really work is in between scenes or moments. The camera can linger on them for a moment and then move on. Or they’re so subtle and in the background that is very likely the audience will miss them and it won’t matter. This is the sort of thing Arrested Development did. While Arrested Development is a masterpiece of joke density, a personal favourite, and bears much repeat viewing, it never got much of an audience. Perhaps this is an indication as to why. Confusion is the enemy of comedy. Stuffing a scene with background jokes also could stem from a lack of confidence in the foreground jokes. The audience should really be transfixed by your characters and the story. Having said all of this, there’s something about animation that means you can get anyway with lots of background jokes. I think that’s because the simplicity of the picture means that your brain can process everything faster and switch between background and foreground. That’s my theory, anyway. As far as writing the scripts goes, put in whatever you think is necessary. In the first instance, focus on using props to tell your story and develop character. They really can be tangible ways of doing that. Writing about props in scripts is tricky. You don’t want loads of action lines getting in the way. It’s hard to write that stuff economically and accurately, especially as it won’t show up in the show the same way as dialogue. Like most of things, it just takes time to do well. Thanks for you question, Jo. I hope that helps. Keep 'em coming. It is a truth universally acknowledged that a sitcom will never get 10m+ viewers. Not outside Christmas. And certainly not on at 9pm on a Wednesday night in late August. The Great British Bake Off does. It’s a truly astonishing monster hit. It really shouldn’t work that well, but it does. They’ve found the perfect recipe. Good for them. The whole edifice now appears to be crashing down in a bit of TV brinkmanship, but one of the products has been the revelation that the BBC were prepared to pay £15m a year to keep the Bake Off for three more years. Why did the BBC want to keep the Bake Off so badly and pay a huge sum for it? Is it committed to the propagation of excellence in amateur baking? Is it trying to find a new generation of bakers to feed the nation? No. Did I mention it gets 10m+ viewers? Why doesn’t the BBC throw that kind of money at trying to find some new mainstream hit sitcoms? I would argue that a decent mainstream sitcom will last longer than almost any reality show. Most of these reality juggernauts run out of steam after eight years or so, and then limp along for a couple more. A sitcom can last so much longer. The BBC has just commissioned a third series of Still Open All Hours. Quite right too. It’s got characters people love, a truly great central performance in David Jason, and it gets really decent numbers. All this with relatively little press and fanfare, as opposed to the Bake Off, which is teaser-trailed like a Hollywood blockbuster weeks in advance. 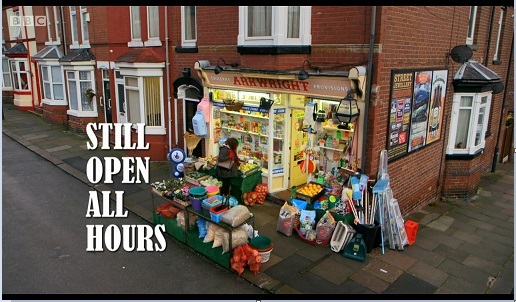 Maybe Still Open All Hours would get 10m midweek if it got that level of hype. 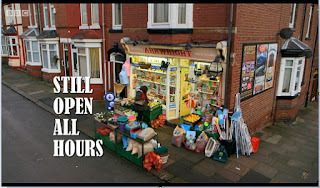 The show began life, of course, as Open All Hours, a pilot in 1973. Let’s take a moment to savour that. 1973. That’s two years after we in the UK went decimal. That’s a long time ago. And yet Granville and the Ghost of Arkwright will be on TV again in 2017, 44 years later. That’s an extreme example, sure, and there were only 26 episodes of Open All Hours, but look at Exhibit B. Birds of a Feather began life in 1989 and ran for nine series until 1998. And we’re not just talking standard series of six episodes. Series 2 was 16 episodes. Sixteen. Series 3-7 had 13, 14, 14, 14 and 12 episodes respectively. That’s a lot of telly. (They had writing teams. TV Execs, please take note. It can work. It does work and it has worked.) By 1998 they’d notched up a 100 episodes. And it’s still on and doing just fine on ITV, 27 years after the original episode aired on BBC1. As if further proof were needed, let’s look at Exhibit C.
The Landmark Sitcom Season resurrected 7 shows, including Hancock’s Half Hour, a show that premiered on BBC Radio in 1954. Yes. 1954. What the series proved is clear: Mainstream sitcoms hits last for generations. Not only can you keep making new episodes. You can keep repeating old ones. I tweet this all the time. I’ve said it before and I’ll say it again. 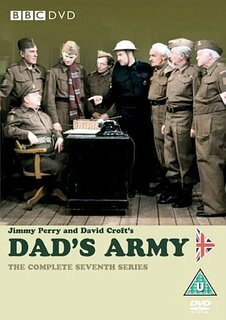 Easily the most successful sitcom on BBC2 and Channel 4 this year has been reruns of Dad’s Army. It’s beaten the competition almost every single week all year. A show that began life in 1968. What’s the lesson? Stop showing reruns because it’s not fair? Or invest in mainstream sitcoms that will outlast this current baking fad, and almost every pop career launched by Popstars, The Voice and X-Factor combined? Let’s re-examine Exhibit C, The Landmark Sitcom Season, a little further, shall we? There was a huge song and dance about it in the media, but in what way has it helped? I don’t want to be overly critical of it. In a way, a celebration of sitcom is an end in itself. I personally enjoyed some of the remakes, Hancock especially. But in terms of laying the groundwork for the future, the Landmark Season gave us four new pilots on BBC2. Four is not many compared to the four BBC1 reboots and three BBC4 remakes. Plus a panel game for some reason, and a one-hour documentary that was more about changing attitudes than sitcom itself. 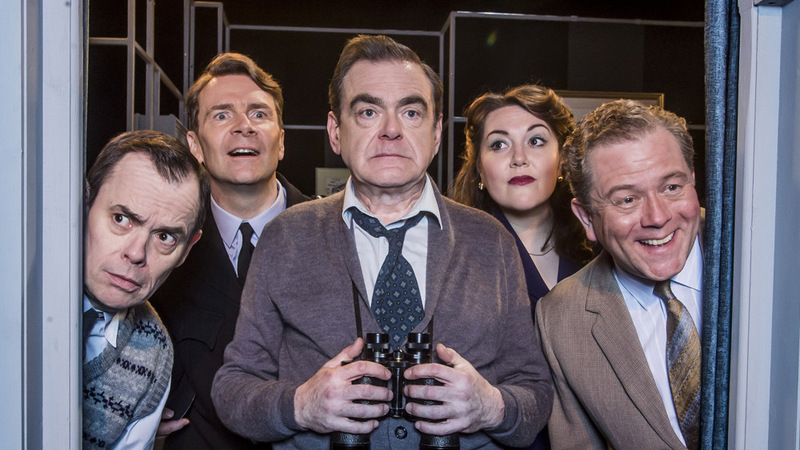 Only time will tell what becomes of the new BBC2 pilots, but, erm, shouldn’t BBC2 be making sitcom pilots anyway? Of course, BBC2 comedy is an end in itself, and that’s fine. But its role in finding hits for BBC1 is crucial. Mainstream hits like Miranda and Ab Fab started on BBC2, as did the slightly more nuanced The Royle Family. And it turns out the BBC have £15m to spend on a baking show (that began life on BBC2) that is at its peak – and probably wouldn’t have lasted more than another couple of years, even if they’d managed to hold onto it. Now, I know that £15m is just a figure that probably covers making the show and masterclasses and Comic Relief versions and the Extra Slice for a whole years. You’re quite a fair bit of TV for your money. But let’s be honest. It’s dead money. People will not be watching Bake Off Series 10 Episode 3 in 2026. Not in any significant numbers. And they won’t even be watching this year’s Extra Slice next year. My argument is purely that reality/entertainment doesn’t last in the way that characters and stories do. So, here’s my proposal. Rather than spend £15m one one year of Bake Off, how about spending £10m over three years on finding a sitcom that could last as long as Open All Hours? Or that people will want to remake and watch in 40 years time. A sitcom pilot can cost anywhere between £180k and £400k. Let’s not muck about here. Let’s go to the top end, to attract top talent and do this properly. In a studio. There is plenty of top talent around, both writing and performing. The problem that this talent is winning Emmys in USA, not BAFTAs in UK. Or they are engaged rewriting shows they started in the 1970s. So let’s push the boat out here. Let’s fund each pilot to the tune of £400k. And how about BBC1 makes eight pilots a year for three years? One more than the seven pilots they did with Ronnie Barker in 1973. And one more than the seven pilots they did the year earlier in the Comedy Playhouse that unearthed Are You Being Served? So five more than they did in the Comedy Playhouse of 2014 and 2016. Eight pilots a year. At £400k. Insist that most are multi-cam studio shows. That’s £3.2m a year. Let’s do it for three years. That’s £9.6m for 24 fully funded pilots. So £5m cheaper than a year of Bake Off, for something that could last much longer. And you could have all the press and hype and national debate to go with it. Even have audience vote on their favourite. Have an Extra Slice-type show to discuss what worked and what didn’t. We take our sitcoms very seriously. I’m pretty sure I can predict the results of these 24 shows. Not because I’m smart, because this is just how the numbers seem to shake out when you look back over the hundreds of pilots that have been made and how this tends to work. 18 of these 24 pilots will be, on first inspection, dreadful. Critics will hate them and make the usual snide and sneery comments. But that’s okay. It’s just telly. No-one died (hopefully). Let’s not get too upset. But the audience will like two of those ‘dreadful’ 18 shows, and one will go to series and do fine, like Brushstrokes or Three Up, Two Down. They were good shows at the time, but not hits. 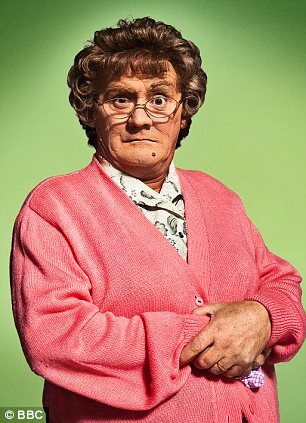 And the other one will go to series and be a huge Mrs-Brown-style hit. Of the remaining six episodes that weren’t ‘dreadful’, one will be a timeless classic like Porridge or Only Fools and Horses, go to series and run and run. And three should’ve worked but didn’t quite. Two of those three will be deemed fixable and go to series. One will do fine. And the other won’t. And two probably shouldn’t have worked, but did. And go to series. One will work. And one won’t. And there we have it. For a £9.6m investment, and a lot of work, 24 pilots should generate five or six mainstream sitcoms. One crowd pleaser that will get Bake Off numbers. One transcendent classic. Two other solid performers and one or two that won’t quite go the distance. Of course, this is all on top of the pilots and new shows that are commissioned anyway. I can already hear the defenders of the BBC saying they already do almost exactly what I’ve just outlined. Add the four BBC2 pilots from the Landmark Season to the three from this year’s BBC1 Comedy Playhouse and hey presto! A seven episode Comedy Playhouse split over two channels, fully funded, promoted and broadcast. Yup. Fair point. I’m glad I thought of it. But I’d reply with the following. Firstly, that my suggestion is this be a BBC1 thing, front and centre. And it should focus on mainstream studio-audience comedy. We can still make that stuff and it’s what audiences really like, so I think we should focus on that. Secondly, my plan is a three year commitment to BBC1 studio audience comedy.. BBC1 had a three-ep Comedy Playhouse in 2014. But not in 2015. Why not? Don’t know. And again in 2016. Only one was a studio audience show. And they were all broadcast at 22.40. Schedulers really should have more confidence in the sitcom talent that’s out there. 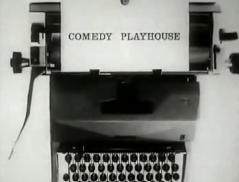 And finally, the Comedy Playhouses of the 1970s were in addition to the dozens of new shows being piloted and tried out only three channels. Except in comedy terms, there were more than three channel because in those days, ITV regions like Central and Anglia were making sitcoms of their own. 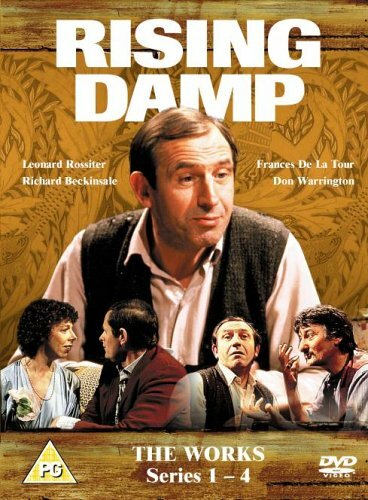 Hits like Rising Damp were commissioned and made by Yorkshire TV. Which also means there was an awful lot of expertise around and plenty of experience to draw on. The landscape was very different then, and yet they still made seven pilots a year in their playhouse series. They just knew how many flops you had to make before you found the hit. I love the Bake Off, but Channel 4 can have that. Can we have some new classic sitcoms, please? You can have them, BBC. If you want them. But do you want them?